With thousands of students heading back to school this morning, police are giving drivers a refresher course in road safety. In a campaign called "back to school, back to safety," police were out early outside school zones Tuesday issuing tickets and trying to drive home the safety message. 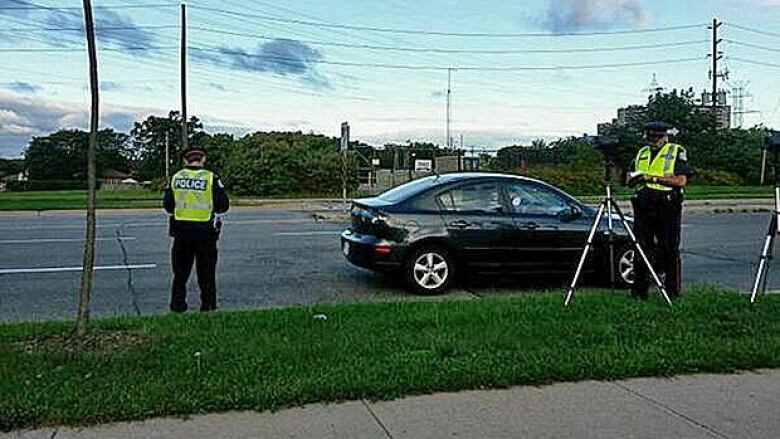 "People are speeding," Toronto police Const. Clint Stibbe told CBC News. "The first individual this morning we stopped was going 25 kilometres an hour over the posed limit in a school zone. That's 65 in a 40, that's way too fast." Drivers who stop or park illegally in school zones. Drivers who fail to stop for school buses. Cyclists who don’t follow the rules of the road. Police say they plan to continue the blitz for the next two weeks.